Justice for Rogelio Acevedo Jr.
Family and friends are offering a $50,000.00 fifty-thousand dollar reward to anyone who can come forward with information that will lead to the arrest and prosecution of the person or persons who were involved in the senseless murder of Rogelio Acevedo Jr. on January 29, 2018 in Stockton. Please contact the City of Stockton’s Homicide Department at 209-946-0600. 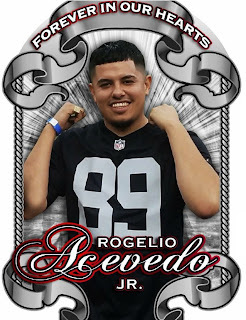 Rogelio, or Nano, as family and friends called him, was a highly driven, loving, and charming young 25 year old man. Nano was the type of person that could and would talk to anyone and light up their day with his antics and good humor. He was always either lifting someone's spirits with jokes or with motivational conversation. He was always able to find a way to relate to people and make them feel comfortable around him. If you knew Nano, chances are, you loved him. Nano was the youngest of 3 children, he and his older siblings have always shared a very close bond. His love for his family was evident in everything he did. All he wanted to do was give his family a stable future. Nano's love and admiration for his parents was the biggest force behind his drive. Making his father proud, the man who he got his name from, was all he desired. Nano's personality, intelligence, and ambition helped him begin his successful auto body repair business in 2015. At only 23 years old, Nano knew that he had found his calling after working with a friend at his body shop. He began painting cars and knew that he could do it professionally and love every minute of it. Getting a company started became his number 1 priority in life. 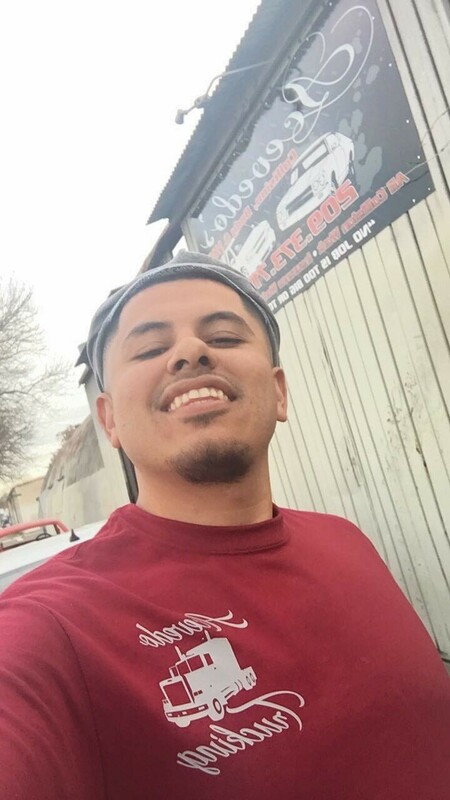 He invested all of his time and effort in getting his shop off the ground and within a very short period he began delivering high quality service to many lucky customers. Nano's life changed in September 2015 when he became a father for the first time to a beautiful baby girl. His ambition to be successful and a good role model only grew from there. He wanted to give his daughter everything in this world. She was his entire world and she had him wrapped around her little finger. Nano continued working diligently and growing his business. Over the course of less than 3 years he opened a shop on Aurora Street in Stockton and then moved it to a new location on Lafayette Street also in Stockton. 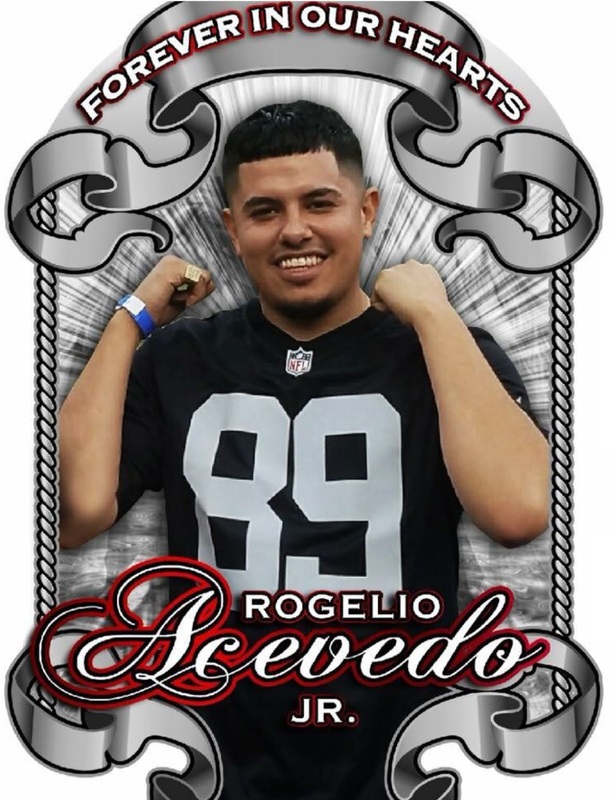 He named his business Acevedo's Collision Body and Paint in honor of his family name, Acevedo. He emblazoned the name on everything he could think of- shirts, hats, you name it. Promoting his shop and growing his customer base was a daily task for Nano. Not only did he own and manage the body shop, he also did all of the painting. His original love for painting cars did not diminish and although he did not have much experience under his belt, it was definitely his forté. The paint work Nano did was always stunning and he completely stood behind his work giving his clients a lifetime guarantee. Nano loved working hard, but he also knew how to enjoy himself. Wherever Nano showed up, he was the life of the party. You couldn't help but love the way he lit up a room. A true social butterfly, he would go around and introduce himself to everyone in the room. Seeing him interact with people was always amusing and people naturally gravitated towards him. The first thing he would do was hand out his business card to everyone. Even when he was having fun, he was still working. Nano's biggest desire, apart from his business, was having a son that carried his name. In September 2017 his dream came true and he became a father once again, this time to a handsome baby boy. Baby Nano brought him so much joy and he felt like his life was complete. Anyone that witnessed Nano with his children saw a young man and his two biggest blessings. He told himself that he would give them a wonderful life and teach them everything he knew. He wanted them to someday run his business or businesses because he planned to branch out into other fields. He had so many plans and goals, but his life was cut short too soon. On January 29th, 2018, less than 3 weeks before his 26th birthday, Nano was fatally shot. Someone took Nano from his now devastated family that is forced to live their life without his physical presence. They wait everyday for him to come home and see his big, beautiful smile. They wish everyday to hear his voice or hold him once more. Someone took him from them for no apparent reason. Someone took a loving father from his children. Children that are still babies and will only remember him through pictures. Someone took a wonderful friend from countless people. There is an enormous void in our heart that nothing can fill. We will never understand why he was taken from us, but we will not rest until we find answers and the person or persons responsible. We can't forget that someone did this. They are out there still and we will not rest until we get Justice for Nano.